What if they use Grodd as just a one-shot villain? I really want him to be something that plots in the background. A huge threat that is used more than just a distraction. GRODD RETURNS! - Barry (Grant Gustin) must deal with the Reverse Flash’s (Tom Cavanagh) latest threat to a member of the group. To make matter worse, Dr. Wells unleashes Grodd on the city in order to distract Barry and the team. 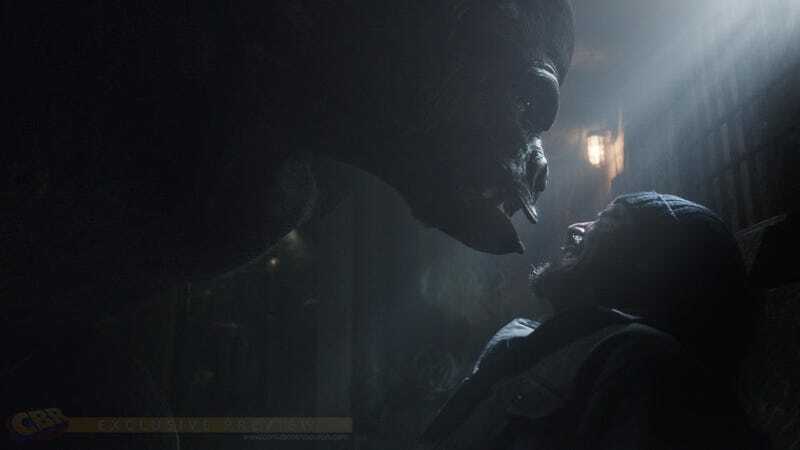 Joe (Jesse L. Martin), Barry and Cisco (Carlos Valdes) head down into the sewers to catch Grodd but the gorilla quickly gets the upper hand after he kidnaps Joe. Iris (Candice Patton) and Barry have a heart to heart talk. Dermott Downs directed the episode written by Grainne Godfree & Kai Yu Wu (#121). I hope Grodd grows into the main villain in the next season!